Q1. Which of the following is not a component of the Cisco IPS software filename? Q2. Which command enables you to fix a corrupted image on your sensor? Q3. 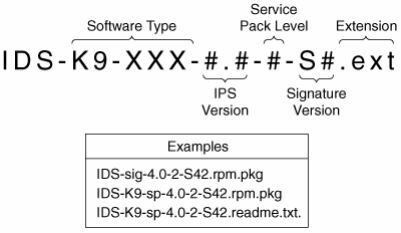 If the filename of a software version is IDS-K9-sp-5.1-3-S36.rpm.pkg, what signature release is included in the software release? Q4. When you are upgrading sensor images by using the CLI, which of the following is not a valid file transfer protocol? Q5. Which of the following is true if a Cisco IPS sensor running 5.0 software has an invalid license key? A. The sensor will not perform inline functionality. B. The sensor will not accept signature updates. C. The sensor will not operate in promiscuous mode. D. The sensor will not operate in promiscuous or inline mode. Q6. When rebooting the sensor via the sensor’s CLI, which command do you use? Q7. Which of the following sensor CLI commands is not valid? Q8. When configuring daily automatic updates via IDM, which of the following is not a valid configuration? Q9. Which sensor CLI command enables you to return to a previous sensor software image? Q10. Which of the following is true? A. You can only use the sensor CLI to restore the sensor’s default configuration. B. You can only use IDM to restore the sensor’s default configuration. C. You can selectively restore the sensor’s default configuration by using IDM. D. You can selectively restore the sensor’s default configuration by using the sensor CLI. Q11. What two types of software releases does Cisco IPS provide? Answer: Cisco IPS provides both service packs and signature updates. Q12. What are the major components identified in a Cisco IPS software filename? Answer: Cisco IPS software filenames identify the following components: software type, Cisco IPS version, service pack level, signature version, and extension. Q13. What are the common extensions for Cisco IPS software files? Q14. Which sensor CLI command enables you to update the software on your sensor? Answer: The upgrade CLI command enables you to update or upgrade the sensor software. Q15. When updating the sensor software via the CLI, which file transfer protocols can you use? Answer: When upgrading sensor software via the CLI, you can use FTP, HTTP, HTTPS, and SCP. Q16. What are the two basic intervals for performing automatic software updates? Answer: The two basic intervals for performing automatic software updates are hourly and weekly. Q17. Which sensor CLI command enables you to revert to a previous sensor software image? Answer: The downgrade sensor CLI command causes the sensor to return to the previous software version. Q18. Which sensor CLI command enables you to re-image the sensor from the recovery partition? Answer: The recover application-partition sensor CLI command enables you to re-image the sensor software from the recovery partition. Q19. What CLI command enables you to reset your sensor configuration to its default settings? Answer: The default service sensor CLI command enables you to selectively reset portions of the sensor’s configuration based on the service keyword you specify. Q20. What is the difference between restoring the default configuration by using the CLI and restoring it by using IDM? Answer: When restoring the default configuration by using IDM, your only option is to restore all of the default settings. With the CLI, you can reset portions of the configuration individually based on a service keyword. Q21. Which sensor CLI command enables you to reboot the sensor, and which keyword causes it to shut down instead of reboot? Answer: The reset command enables you to reboot the sensor. Adding the powerdown keyword to the reset command causes the sensor to shut down instead of reboot. Q22. Which keywords can you specify in conjunction with the default service CLI command? Answer: The default service CLI command accepts the following keywords: analysis-engine, authentication, event-action-rules, host, interface, logger, network-access, notification, signature-definition, ssh-known-hosts, trusted-certificates, and web-server.